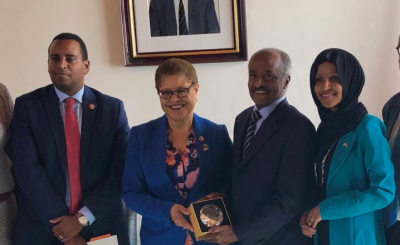 The U.S. will continue to support Ethiopian Prime Minister Abiy Ahmed's reform agenda and encourages peace between Ethiopia and Eritrea, says Karen Bass, Congresswoman and Chair of the House of Foreign Affairs Sub-Committee on Africa. Bass has been on a three-day visit to the two countries, accompanied by Joe Neguse and Ilhan Omar. 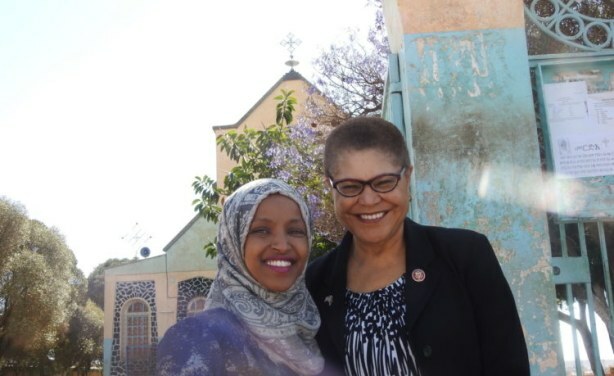 Representatives Ilhan Omar and Karen Bass visiting St Michael Church in Asmara.